Victorians will be able to install a solar panel system for half price and pay the rest of the cost back over four years with an interest-free loan. A green energy push is expected to help Victorians save around $890 a year on their power bills with half price solar panels at no up-front cost, under a re-elected Andrews Labor Government. Under the $1.24 billion program, Victorians will be able to install a solar panel system for half price and pay the rest of the cost back over four years with an interest-free loan. This will save the typical Victorian household up to $2225 for installation of an average 4kW solar system, a move Member for Macedon Mary-Anne Thomas has called a “decisive action to cut energy bills”. 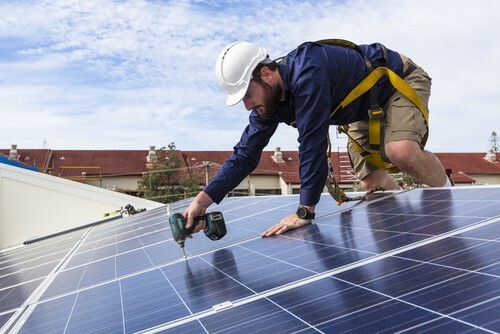 A new independent agency, Solar Victoria, will be established to work with industry, regulators and training organisations to deliver the program, which will create almost 5500 new jobs. The solar program aims to bring the number of homes in Victoria with solar panels to one million within 10 years, cut carbon emissions by almost four million tonnes and generate 12.5 per cent of the state’s 40 per cent target for renewable energy by 2025. The move would also include $9 million to support accreditation of 4500 electricians to install solar panels. The state government last week announced $68M to launch the Solar Homes program that will enable Victorians to install a solar panel system and get half of the cost back via rebate. This would be expanded to include the interest-free loan from July next year, under a re-elected Labor Government. The rebate on solar panel systems will be available to those with a household income of up to $180,000 who live in their own home valued at up to $3M. Homes that cannot be fitted with solar panels can take advantage of a $1000 rebate on solar hot water systems as part of the program. 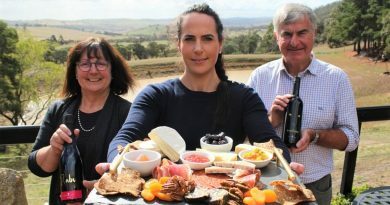 Cloud9 cheese and wine producers Alan and Susan Deeble, and daughter Jacquie, welcome a new fund for small producers. 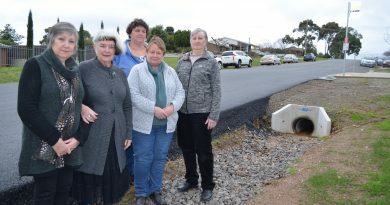 Goldfields Quilters Brenda, Beverley, Glenda, Kathy and Chris are among those concerned about the dangers of the deep guttering outside the Leisterville hall. 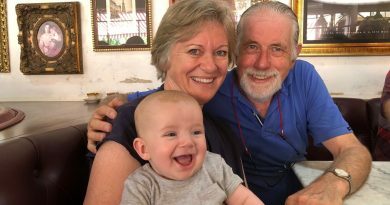 Heather and Neil Barrett with their grandson Reuben.